The Victoria Palace Theatre is a theatre in Victoria Street, London, England. It is situated opposite Victoria Station and was designed by Frank Matcham and opened in 1911. Access description: One 3cm step up through swing doors into the Box Office. Box Office counter on left. Staircases have handrails on both sides and steps are highlighted. 4 steps down from foyer to Stalls, 28 to back of Dress Circle (with 2 steps between rows). Access to the Grand Circle is not suitable for patrons with walking difficulties. Theatre generally open 45 mins before performance. 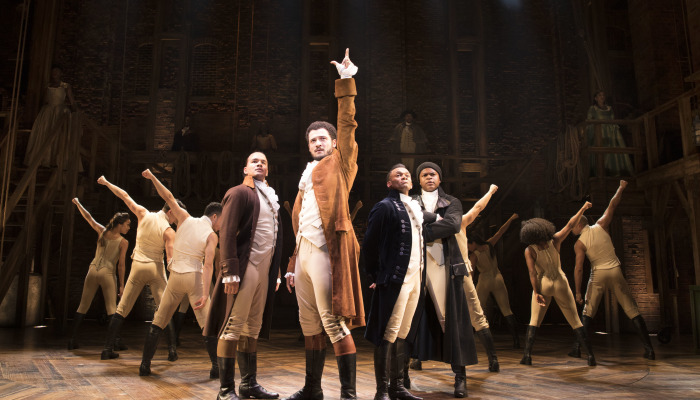 For Hamilton: Since Hamilton contains some strong language, the show is appropriate for ages 10+. Children under 4 are not permitted into the theatre and any under 16s must be accompanied by an adult.